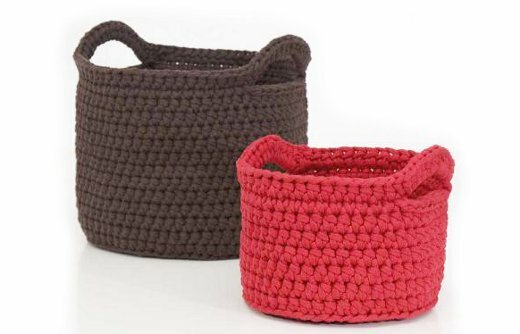 Today we are going to show you different models of t-shirt yarn baskets to which you can give different uses: such as a magazine rack, a toy organizer, to keep the clothes for washing, and so on. 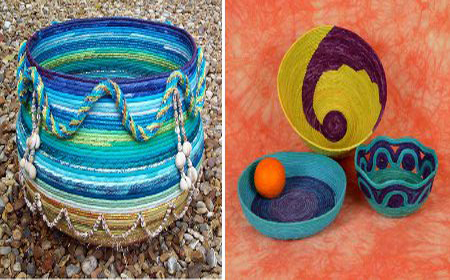 This entry was posted in Baskets and tagged baskets, recycled fabric baskets, t-shirt yarn, t-shirt yarn baskets on March 20, 2018 by Sue. 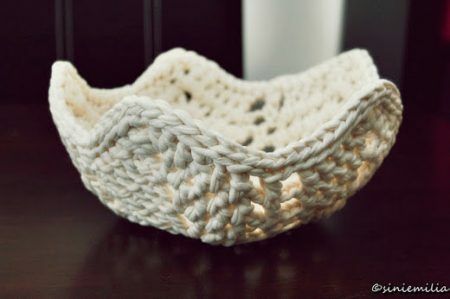 This entry was posted in Baskets and tagged baskets, baskets with lids, crochet, pettrns, t-shirt yarn on January 10, 2018 by Sue. This entry was posted in Baskets and tagged advice, baskets, ironing t shirt yarn baskets, ironing tips, t-shirt yarn on June 30, 2017 by Sue. This entry was posted in Baskets and tagged baskets, crochet, schemes, t-shirt yarn, tutorial on March 13, 2017 by Sue. This entry was posted in Baskets and tagged baskets, baskets with no sewing, diy, recycled fabric baskets, t-shirt yarn, tutorials on May 22, 2014 by Sue. 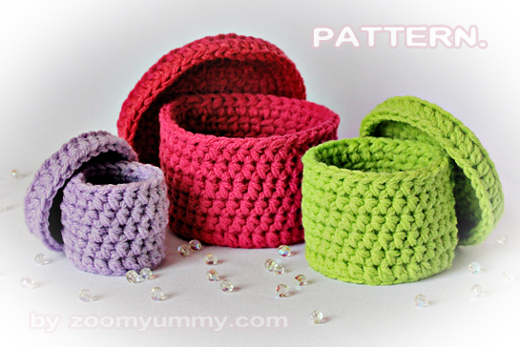 I’m pretty sure you have seen -and love- all the models of T-shirt yarn baskets that we shared in previous articles, and that’s why we are going to teach you a new technique to make them without sewing. 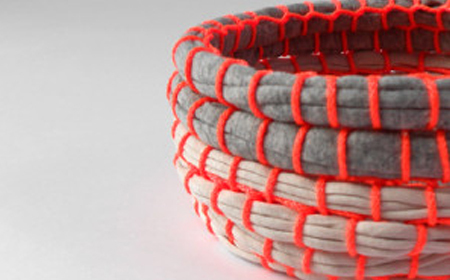 With this technique you can make other objects like placemats, coasters, mats, rugs and handbags; just wrapping the fabric strips in the structure. 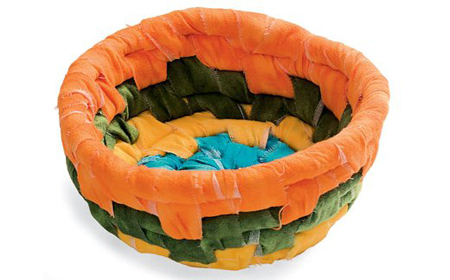 This entry was posted in Baskets and tagged baskets, how to make, no sewing, recycled fabric basket, t-shirt yarn basket on December 10, 2013 by Sue. This entry was posted in Baskets and tagged baskets, fabric baskets, ideas, t-shirt yarn, techniques on November 29, 2013 by Sue. 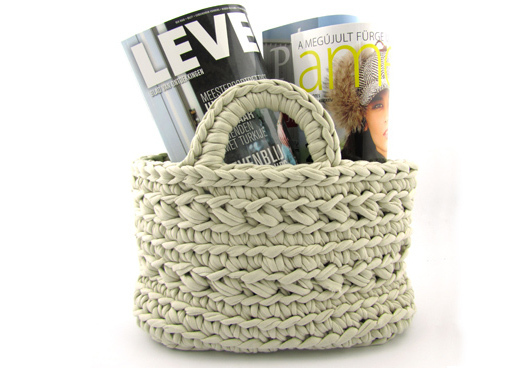 A recycled fabric basket is one of the handmade objects that can be done with T-Shirt yarn, and the result is a very original and modern textile basket, perfect to use as organizer. 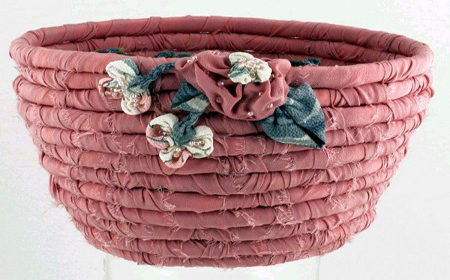 This entry was posted in Baskets and tagged baskets, fabric, how to, t-shirt yarn, tutorials on June 3, 2013 by Sue.